End of August iAnnounce soft-launched the new trauer38.de for Braunschweiger Zeitung, a titel that is part of the Funke Media group. Their happy family ads are to be found here: freude38.de. Dresdner Neueste Nachrichten, part of the Madsack media group, has a new portal for family announcements. You can find it here. iAnnounce is preparing for existing and for new clients five new obituary portals which will be accessible by the public within the next few months. Recently, Kohlhepp Media Consultancy has started to advise the online travel agent Secret Escapes. The company will be assisted in finding new partners for the White Label solution in the German-speaking market. Secret Escapes offers registered members access to exclusive hotel offers with up to 70% discount. The discounts, created by 4 to 5 star hotels, usually expire within five to twelve days. Secret Escapes seeks to negotiate highlights for its customers such as room-upgrades, a bottle of champagne, messsages and the like, so that the customers experience a memorable hotel stay. 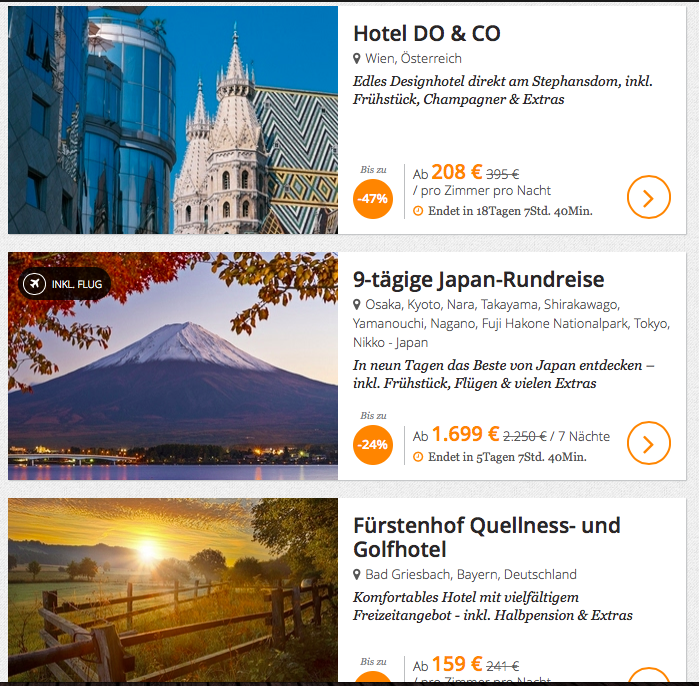 For the first time, exclusive travels and hotel accommodations in Germany and worldwide are shown online and clearly arranged in a search window, also on smartphone-screens in a responsive design. Smartphone users can also stay up to date with the Secret Escapes app. Secret Escapes provides hotels and travel agents the opportunity to increase brand awareness, prestige and capacity. Secret Escapes exists in Great Britain, Sweden, Germany, Austria, Switzerland, Denmark, Norway and the USA. Renowned titles, such as the travel magazine Condé Nast Traveller and the British newspapers The Telegraph and The Guardian, can be found among the partners of Secret Escapes. Since its foundation in January 2011 Secret has sold more than a million overnight stays of which 9 in 10 are booked by users on the website who spontaneously decide to travel. Secret Escapes has recruited more than 10 million members so far. 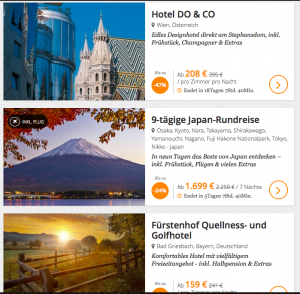 The media group Konradin has been provided the Madgex-recrutement system in a White Label solution The portal oft he Konradin media group, consisting pf 68 print- and online brands, is now accessible under https://www.fachjobs24.de, also accessible on mobile in a responsive design. The 68 Konradin-media are merged on fachjobs24.de to six group-specific industry channels: industry, craft, architecture / design, knowledge, Ophthalmic optics and the working world. On the recruitment platform, in addition to publishing an ad, the employers have the possibility to partially or completely publish in the print-media, too. At the same time, the Konradin-readers and users on fachjobs24.de can find the latest and best target specific jobs. For the technical implementation of fachjobs24.de the Konradin Publishing Group uses the technology of the British company Madgex, Brighton. Madgex is a leading provider of job board software services and has over 14 years extensive experience, including with the development of job portals for Financial Times, The Telegraph, Washington Post. “We are experts in our field. To meet the ever-changing demands of the market, we constantly develop our products. We look forward to support the Konradin Publishing Group in introducing fachjobs24.de with our technology. “Tom Ricca-McCarthy, CEO Madgex. The Kohlhepp Media Consultancy has recently started to advise the Oldenburg- and Berlin-based company Hallo Familie GmbH&CoKG. Kohlhepp Media Consultancy is going to help its partner to grow in the German-speaking market, finding clients who wish to use the white label portal HalloBabysitter.de provided by Hallo Familie GmbH&CoKG. More details can be found here. VDI – Verein Deutscher Ingenieure (Association of German Engineers) has been provided with a white-label job board by Madgex. The VDI job portal may now be found at http://jobs.ingenieurkarriere.de/, equally accessible via smartphone in a responsive design. This means that Madgex has won his first German customer. Find out more about Madgex. One of our clients, who wishes to remain unnamed, has acquired a special interest magazine and incorporated the substance ( subscriptions , etc. ) in its market-leading titles . This mandate has been brought to a successful conclusion. Following the German iAnnounce client event, the European iAnnounce meeting was held in the Berlin John F. Arcotel on February 12, 2015. The decentralized working team members travelled there among other things from Poland, Italy, Ireland, England, France and Spain. CEO of iAnnounce Paul Roche led the day. The meeting of the UK-based Software company for family announcements was determined by the areas of IT, Sales & Marketing, portal-moderating and Human Resources. Furthermore the new CTO of Legacy.com, the mother company of iAnnounce, Mark Castrovinci introduced himself. Castrovinci is looking back on an impressive international career in various important positions in the IT sector which enables him to contribute many important impulses for the company. He availed himself of the opportunity to present and discuss his roadmap for further IT developments. Castrovinci travelled there from the U.S.. The successful day was rounded off with a dinner at the restaurant “Le petit Felix”. The annual iAnnounce client event took place on February 11. All media houses using the family announcement web portal provided by iAnnounce in a white label design were invited. The newly acquired iAnnounce partner Frankfurter Allgemeine Zeitung kindly hosted the event in its building in central Berlin, providing a nice ambience. Discussed were the milestones and challenges of 2014 as well as the roadmap for 2015. The meeting was a good opportunity for Mark Catrovinci, the new CTO of the iAnnounce mother company Legacy.com, to present himself and his roadmap. He travelled there from the U.S.. The evening was rounded off in a quiet ambience at the Einstein restaurant in Charlottenburg.